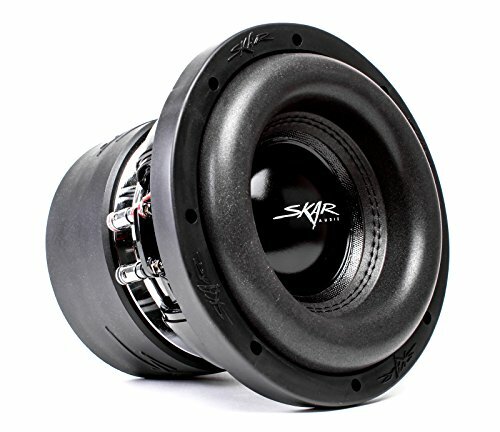 Skar Audio brings you the meanest, loudest, and most powerful 8" subwoofer we have ever designed with the ZVX-8. This is a behemoth of a subwoofer and rated at a conservative 900 watts RMS, with the capability of getting extremely loud in a single daily setup or to be used in an array of applications for competition use. The woofer is very responsive and features parameters that allow it to not only get very loud but also sound great while doing so. Engineered with the expectation that customers are going to want to throw everything they can at these stout little monsters, we did the same. The ZVX-8 features an advanced cooling system that allows it to maintain the best possible temperatures even at the highest power ratings, as well as a competition grade high temperature voice coil for maximum efficiency.